Medicine/health care is an important social institution in all societies today. Because societies need healthy, functioning populations in order to survive and prosper, bonne santé (good health), of one's people, and one's medical system, are imperative. That said, how societies organize and provide health care can vary significantly even if the role or purpose of health care is more or less similar across societies. France's system is one based on the principles of universal health care, for legal residents, with provisions for others, and the health care services come from both public and private sources. (Click here for an English language summary of some of the details: http://www.medicalnewstoday.com/articles/9994.php) For our family, we are out-of-pocket users of French health care at the moment, with our private insurance, so we have access to the same services (and we've used both public and private ones), but we pay for them at the point of service. 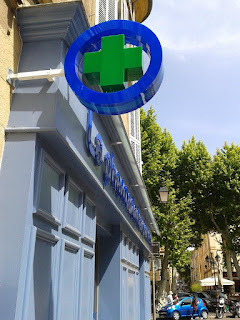 The French system as we've experienced it isn't all glossy and cutting edge like we are accustomed to in Seattle which is known for medical and health care services, but we do feel we are getting good care in France, and we definitely feel like the price is right! 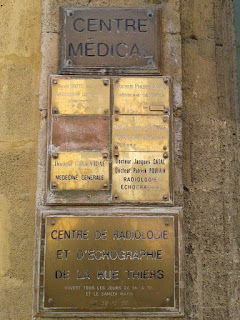 Our initial experience with the French health care system actually occurred during our family's first visit to Aix, in July 2010, when one of our then 10-year old boys was overcome by an undetermined intestinal ailment that resulted in an Emergency Room visit and subsequent pediatric ward stay of two nights. The public hospital was pretty spartan and a bit dumpy, given our experience in the U.S. I had to ask for soap and a hand towel in the bathroom, but a cot and sheet were provided for one parent to sleep in the same room and the nursing care was generally quite good, even with the language barrier. I didn't notice the same vigilance with hygiene as in the U.S. or the same level of technology; nursing staff had bare feet in sandals, chipped nail polish on fingers, and the handwashing must have taken place at the nurses' station, and the equipment was basic, with no blinking lights or electronic monitors. We had just an IV bag and of course, the television. Allen's boss helped us when we checked in and then over the phone with the staff when we checked out, but overall, most of the staff, including the young doctors, seemed uncomfortable with their own English and our lack of French. We could not seem to get a definitive medical diagnosis in the end, nor did we receive a bill or any written receipt or record of our stay upon checking out, (we had to return to get something in writing and to reiterate our request for an itemized bill as we knew we'd need something for U.S. insurance claims). Several months later, a misaddressed bill arrived from the county treasury, unitemized, and payable only by automatic payment to the sum of 1, 708 euros. Not bad for an ER visit and two nights stay. Last week, this same son injured his poignet (wrist) during some pick-up soccer play, and we visited the doctor who had treated this boy for angine (pharyngitis) last winter, and who had given both boys the briefest of sports physicals last fall. The médecin (doctor) is about the same age as me, and he speaks English well enough that we can comfortably communicate. His office is on the second floor of an old, dusty building near the train station. The access is via a narrow circular staircase (no elevator, so no wheelchairs or baby strollers), and one enters a small foyer to a reception room ringed with about 12 chairs. 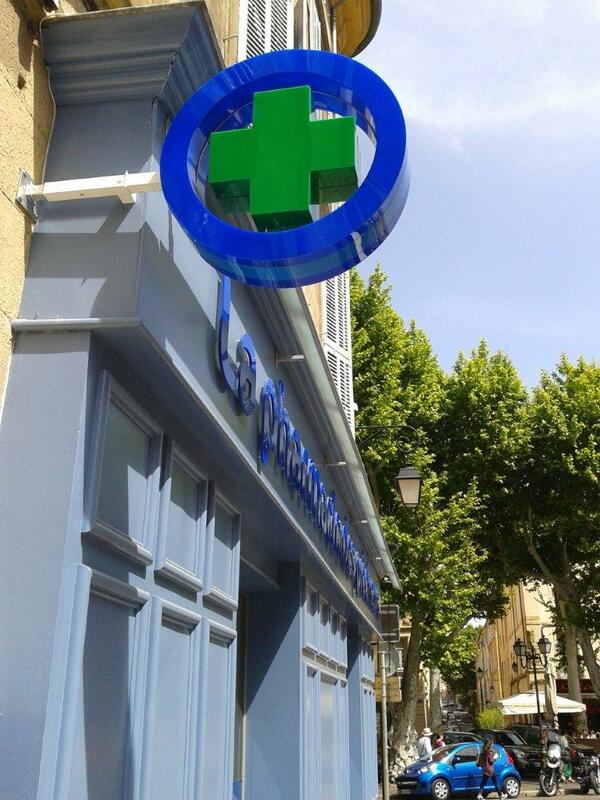 There are no appointments, it's first come, first served, between 9-12 o' clock and 15h-18h (3-6 pm). The doctor's office is a high ceilinged room overlooking the street with a large wooden desk over which we talk and exchange payment, and he has a small, relatively unfurnished adjoining examination room. He has no staff, seemingly no electronic records or patient files (he showed me his simple handwritten ledger of daily visitors one time, when I commented on his very full waiting room). He seems to see a lot of patients each day, and each midday he makes home visits or has rounds at the hospital nearby. But his manner has always been quite calm, never rushed, despite the full waiting room. As he appears to have nothing more sophisticated than a stethoscope, his role seems to be the first line of medical care, the general practitioner, only he seems much more general than our g.p. at home. For us, he provides rubber stamps, and writes prescriptions for medications and specialists' services. We were given a prescription for an anti-inflammatory cream and a wrap, and a radiographie (x ray). He explained that the radiologist would send us to the polyclinic to have the wrist set if the x ray showed a break. After I paid his standard flat fee of 23 euros, his role was essentially finished. Specialists are available all over town it appears, when one looks more closely at the metal placards on buildings. For x ray clinics, it's up to the consumer where to go. The office we went to near our apartment was more polished and updated than either the hospital or the doctor's office described above, even though it too was an old building. I unfortunately didn't notice what kind of ultrasound equipment was available, if any, so I can't report if the spouse's employer's equipment was installed there, but the standard x ray equipment, was there, and the experience too was like any we've had in the U.S., except that it took place in French. The x ray technician was business-like, the radiologist spoke rapid-fire French, but then to my surprise, he very generously re-explained everything, slowly and clearly in French. (If everyone would just slow down like he did, I think I could finally begin to comprehend spoken French.) He told us, no broken bone, no need to go to the polyclinic, but perhaps come for a follow-up. This time, we shelled out 48 euros, and we went home with a set of x rays (apparently, this office does not store clients' medical records either). In my growing medical records file at home, I will also being adding medical claim forms. We will make the claims, against either our U.S. private insurance and our new private European insurance, to reimburse our out-of-pocket medical services as we did for the public hospital stay two years ago. We may not decide to do so for the prescription drugs. These are so cheap here that in some cases, our U.S. insurance copays or fees are more than what we have paid for actual medications. The three medications for the respiratory illness last winter (fever reducer, cough suppressant, and antibiotics) totaled 14,60 euros, so I was not too surprised to discover that the prescriptions, for the cotton wrap and anti-inflammatory ointment for the hurt wrist cost only 4,70 euros. (I was more curious as to why a simple cotton wrap was a prescription item.) The pharmacies themselves play an enhanced role in the medical/health care system here and they are involved in the provision of homeopathic remedies as well, something we don't see to the same extent in the U.S. I'll surely have more to say later. For now, I will be content if we can continue to keep both medical visits and prescription expenditures to a minimum.